The Gods seem to have turned against Ambatu Rayudu of late. Things are not going well for the CSK opener in IPL XII. He was dismissed for a golden duck as his side suffered a major thrashing from arch-rivals MI – their first defeat of the season – in Mumbai. Rayudu has registered scores of 28, 5, 1 and 0 in the four matches he has opened for CSK this season. His only double-digit score (off 42 deliveries) in the league (thus far) came in the season opener against RCB on a crumbling and spinning Chepauk wicket where only 71 were needed for victory. He has managed to face an aggregate of just 14 deliveries in the remaining three matches and looked completely out of sorts. Overall, he has scored 34 runs in 56 deliveries at an average of 8.5 and strike rate of 60.71 in the IPL so far. These numbers are astonishingly poor – and not surprisingly Rayudu has the lowest run-aggregate, average and strike rate amongst all CSK batsmen in the season. Also, interestingly, all his four dismissals have been to pace. Rayudu has been in poor form lately. He has scored a total of 128 runs in his last 10 innings at a shocking average of 12.8 and strike rate of 69.57. These include 7 T20 matches and 3 ODIs. His highest score in this period was 29 for Hyderabad against Uttar Pradesh in the Syed Mushtaq Ali Trophy in Delhi in February. He has 5 single-digit scores in this period. His recent T20 record has been ever more dismal. He has aggregated just 117 runs in his last 10 innings in the format at an average of 13 and strike rate of 77.48. He was well below par in the Syed Mushtaq Ali Trophy – India’s premier domestic T20 tournament scoring just 67 runs in 4 innings at a paltry strike rate of 89.33. 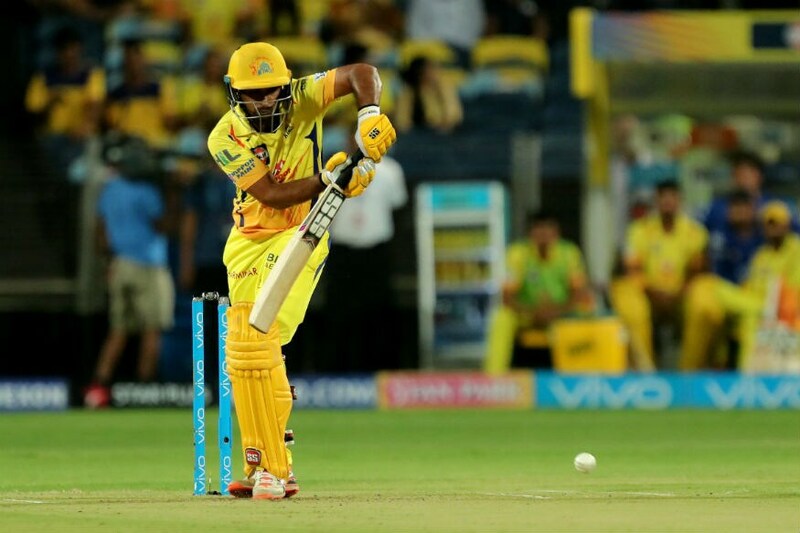 Rayudu was one of the premier batsmen of IPL 2018 where top-scoring for CSK (and the fourth-highest scorer of the league), he aggregated a whopping 602 runs in 16 innings at an excellent average of 43 and more impressively a strike rate of 149.75! Although, since the last IPL, Rayudu has scored a total of 639 runs in 20 innings at an average of 42.60 in ODI cricket, his strike rate at 84.07, which worsens to 79.04 over his career poses serious questions for India. Moreover, his last 10 ODI innings include 2 ducks and 4 other failures with a fall in average to 30.87 and a middling strike rate of 75.3. Courtesy his problems with strike rate, Rayudu has never found a permanent place in India’s T20 squad and last represented the country in the format in June, 2016. 22 off 19, 39 off 26, 49 off 35 and 12 off 8 – these were Rayudu’s scores in the first four matches for CSK last season – and it kept getting better. Fast forward a year and Rayudu finds himself in the middle of a slump. With the cut off for the 15-member World Cup squad barely two weeks away, his timing could not have been worse!